There is a very interesting chapter in the book More Homicidal Humor, by Sgt. Brian Foster of the Houston Police Homicide Unit, about a man he calls Tommy T who once owned this gun. Tommy was an organized crime figure in Houston and Corpus Christi who is said to have murdered quite a few people with it. You can order the book from Amazon.com. 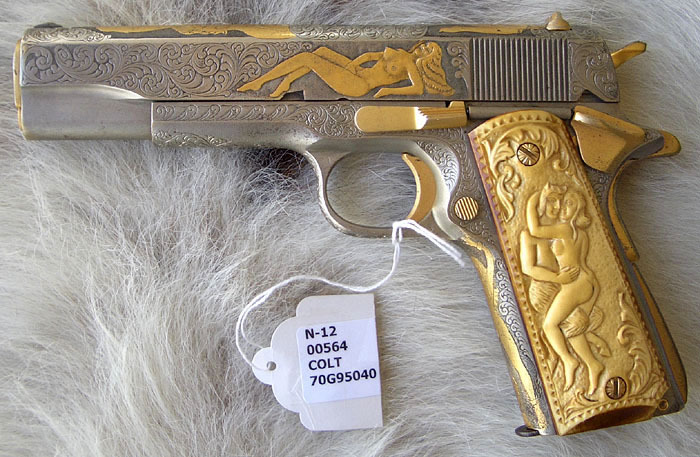 This gun is from the Gus Cargile Collection, AKA Hoarder of .45s. Ace, .38 Super, and .45s.